This post has 1,171 views. The holiday season has arrived and we are only a few days from Christmas. I’m looking forward to a short vacation in a few days. As a new employee, I don’t have many vacation days, but combining my vacation days with Christmas and New Year gives me a week or so of not having to work. No more spending a month back in Metro Vancouver during the winter, but a break is appreciated nonetheless. I haven’t posted anything during the last month, because I didn’t do a lot of interesting stuff. Winter in North Carolina is much milder than Upstate New York, but the leaves have fallen so I don’t have as much motivation to go hiking anymore. Work has also been getting busier as we approach the end of the year, and I haven’t developed much of a social circle yet. Hopefully I’ll get to do something fun during my winter vacation. Black Friday feast with coworkers. 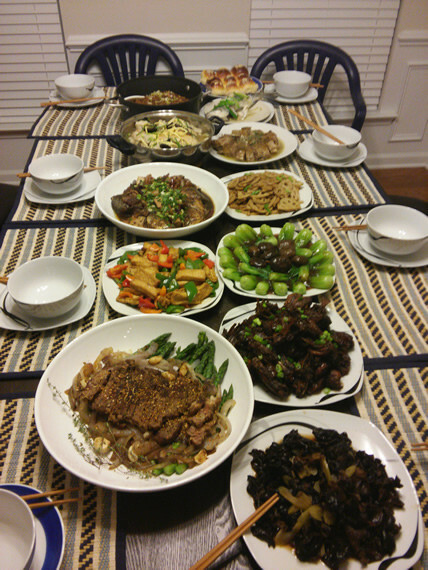 It’s not a scary amount of food, but more than enough for everyone. That’s not to say I don’t have anything to share in this post. The holiday season started with Thanksgiving. Unlike previous years, I didn’t have anywhere to go for a Thanksgiving feast, so instead I went shopping. A lot of stores opened on the night of Thanksgiving, and there were plenty of shoppers willing to miss their turkey dinner to grab the deals. I didn’t make any big purchases for myself, but got a couple shirts and smaller items. With all the early store openings and online sales on Turkey Day, Black Friday doesn’t seem all that special anymore. To make up for not having a feast on Thanksgiving, I joined my coworkers for a Black Friday potluck dinner, and I certainly got my fill. 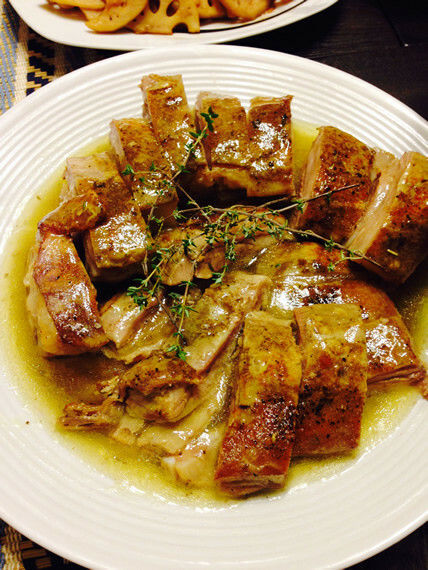 I made braised lamb breast/ribs, and it was well-received much to my surprise/relief. The braised lamb breasts I made for our potluck dinner. Looks pretty awesome, right? Have to give credit to others for the cutting and garnish though. The only other thing to note is that I attended my first NCAA Division I college basketball game recently. 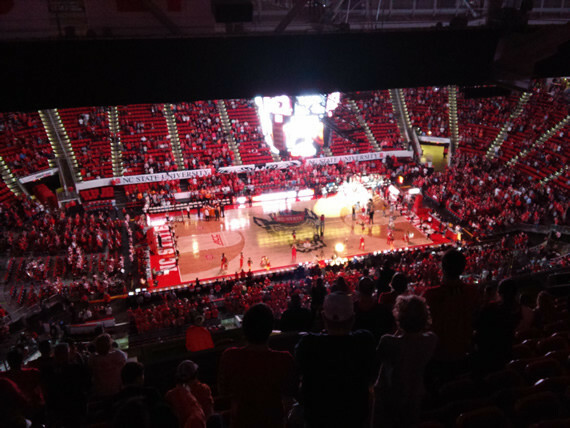 I went to a NC State game where they hosted Tennessee. Most NC State games are played in the PNC Arena, which I have already been to for NHL hockey. Upper bowl tickets were very affordable, and I got a seat closer to the middle this time. It wasn’t a full house, but the atmosphere was good. I sat next to a group of loud Tennessee fans, which made things lively. NC State won the game by about 10 points on the back of good 3-point shooting. In the future, I’ll try to attend some UNC and Duke basketball games as well. Getting UNC vs. Duke tickets is too expensive, but I can watch them play other schools. The view from my seat for the NC State vs Tennessee basketball game. That’s all I have to say this time. I wish you all a safe and happy holidays. Merry Christmas and Happy New Year!